Like everything else I do, my reading comes in multiples. 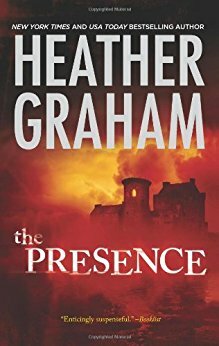 If you saw my newsletter last month - (you can sign up on my website), I've been reading Heather Graham's The Presence (Harrison Investigations Bk. 2), about a haunted castle in Scotland. 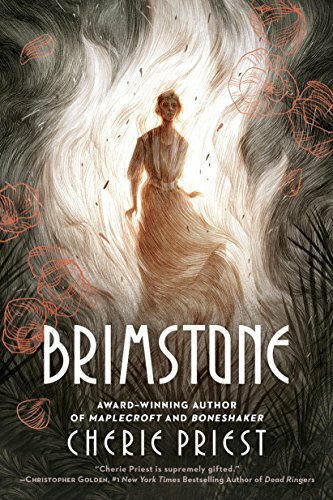 I'm also been reading Cherie Priest's Brimstone, about a dark entity, a clairvoyant town in Florida, and the link between a veteran and one of the clairvoyants. I'm nearing the end on these two. 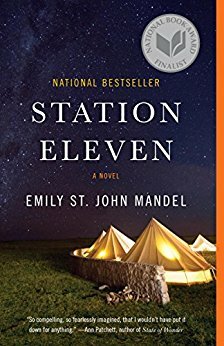 Now the NEA has its new book out for the Big Read next month, so I started reading Station Eleven by Emily St. John about a virus, civilization's collapse and a dystopian world. So far, so good. How did I miss this one? A related topic is the Death exhibit, Momento Mori: The Art of Death, of death-related artifacts and art at the Kenosha, Wisc. Public Museum. I hope to catch that this coming week and will try to post some photos. What are you reading or looking forward to? Change yourself! Cartoon & #Zombie!